This month we had the pleasure of speaking to Craig King, President of J.P. King Auction Company. A renowned industry leader dealing exclusively with high-end luxury properties nationwide, J.P. King has a stellar success rate of sales utilizing the latest media technology, integrated marketing strategies, and focused attention on the client and their asset. We discussed a variety of topics with Craig including absolute auctions, the use of social media, and the future of luxury properties being sold via the auction route. 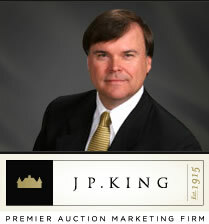 PA: J.P. King is regarded as a leader in Luxury Real Estate Auctions. 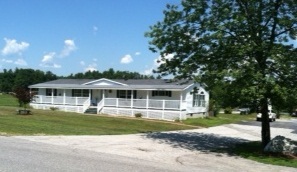 Tell us about how the company earned this place at the top. Luxury real estate covers a wide spectrum of properties – the sprawling estate, the posh penthouse, the beachfront mansion, the mountaintop getaway. This week we’re looking at luxury that brings with it the gift of lower maintenance – the palatial condominium. 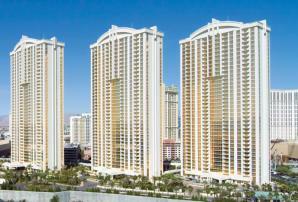 Check out Tranzon’s 2-bedroom, 2.5-bath Turnberry Place high-rise condo in Las Vegas, Nevada. Located in Tower 4 and boasting an incredible view from the 25th floor, this 2,050sf property provides lavish living space with 2 large patios presenting east-facing panoramic views; a spacious kitchen loaded with Subzero refrigerator, gas cooktop, double oven/microwave and granite counters; master suite with walk-in closet, balcony access and master bath; hardwood flooring; full-size laundry; storage locker and assigned parking. PA is picking this one for its exclusive Tower 4 amenities that include limo service, an exercise room, heated pool with barbeque area, and even something for 4-legged inhabitants – an outdoor pet area. Auction date is August 31st. PA Picks – Looking for Low Maintenance? Many property owners are still in ‘downsize’ mode due to the turbulent real estate market and sluggish economy. With this in mind, we’re thinking ‘mobile’ – and we don’t mean your handheld device. This week PA is looking at some appealing alternatives to typical residences for both occupants and investors in the form of the tried-and-true mobile home.